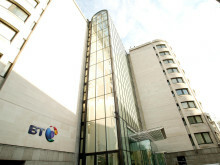 BT is cutting the cost of calls to its 118500 directory enquiries service from 1 June 2018. 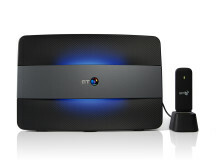 BT today announced the availability of the UK’s first business-grade broadband product which switches automatically to 4G to help SMEs stay connected if they experience an interruption to their fixed broadband service. 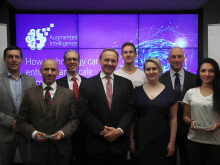 BT, in partnership with the Cabinet Office and TechHub, has announced the winners of its Augmented Intelligence competition at a special event held at the iconic BT Tower in London. 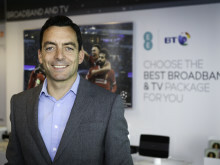 The new ‘Consumer’ Business Unit of BT Group – comprising BT, EE and Plusnet – is launching its ‘Best Connected’ plan, a commitment to provide the best connections, the best service and the best experiences to its customers across the UK. 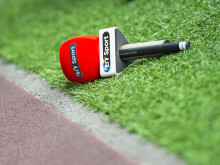 BT Sport is to show Liverpool take on Real Madrid in the final of the UEFA Champions League for free online via YouTube, the BT Sport app and btsport.com later on this month. 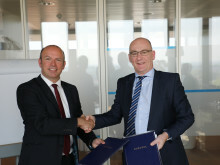 BT has signed a Memorandum of Understanding (MoU) with Europol, The European Union Agency for Law Enforcement Co-operation, to share knowledge about major cyber threats and attacks, as the two organisations reinforce their efforts to create a safer cyber space for citizens, businesses and governments. 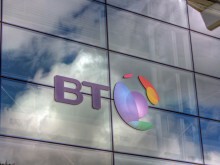 BT and the Trustee of the BT Pension Scheme ('BTPS', or the 'Scheme') have reached agreement on the 2017 triennial funding valuation (the '2017 valuation') and recovery plan. 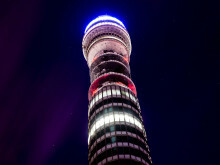 InLinkUK from BT, the service being rolled out across the UK offering free ultrafast Wi-Fi, phone calls and mobile charging, is joining forces with four charities to offer one-touch free lifelines on the street.